Kuldeep Yadav and Ravichandran Ashwin proved West Indies' tormentors-in-chief as India wrapped up a crushing victory by an innings and 272 runs on day three of the first Test in Rajkot. 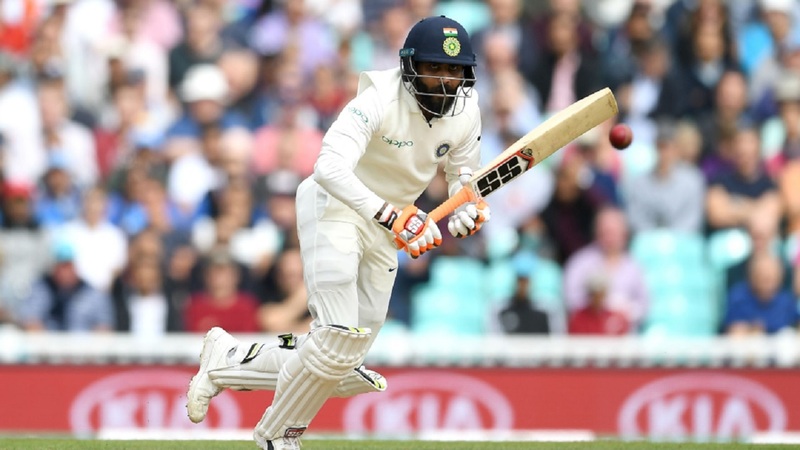 The tourists began Saturday's play floundering on 94-6, a mammoth 555 behind India's 649-9 declared and with seemingly little hope of even making the home side bat again. And so it proved, Ashwin taking three of the final four first-innings wickets to finish with 4-37 as the Windies stumbled to 181 all out, still 468 runs adrift. Opener Kieran Powell did show some fight with a brisk 83 after Virat Kohli unsurprisingly enforced the follow-on, but his was the only score of note as Kuldeep (5-57) claimed his first five-wicket haul in Tests to hustle the Windies out for 196 and secure a 1-0 lead in the two-match series. Roston Chase and Keemo Paul were the men tasked with the impossible at the start of the day, and the pair did at least take their seventh-wicket stand to 73 before the latter fell for 47, top-edging a bouncer from Umesh Yadav (1-20). Chase (53) brought up his fifty in the next over with a glorious straight-driven four off Kuldeep but, after being dropped by Rishabh Pant, he was castled by Ashwin, who also bowled Sherman Lewis three balls later. 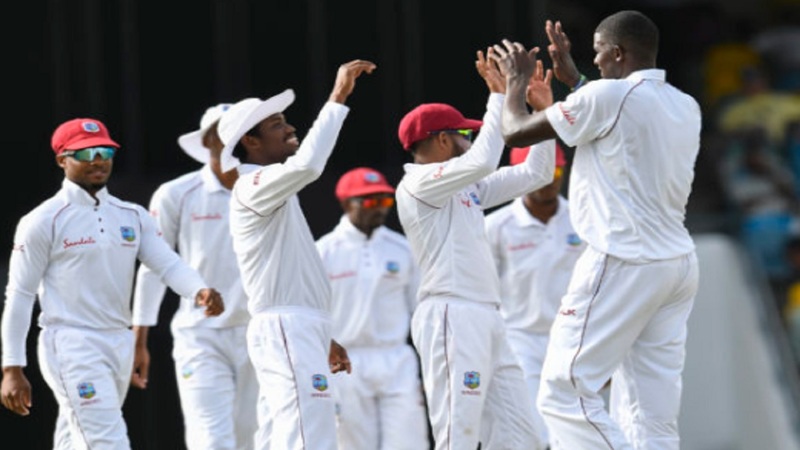 Ashwin wrapped up the innings by having Shannon Gabriel stumped, and there was even time for the off-spinner to strike again before lunch as the Windies batted for a second time, captain Kraigg Brathwaite (10) offering a simple catch to short-leg. Brathwaite's opening partner Powell clearly decided attack was the best form of defence, thumping eight fours and four sixes in his 93-ball knock while wickets tumbled at the other end. Shai Hope (17) was trapped in front by Kuldeep, who then accounted for Shimron Hetmyer (11) and Sunil Ambris for a duck in the same over - the former courtesy of an ugly slog that was sliced to short third man. 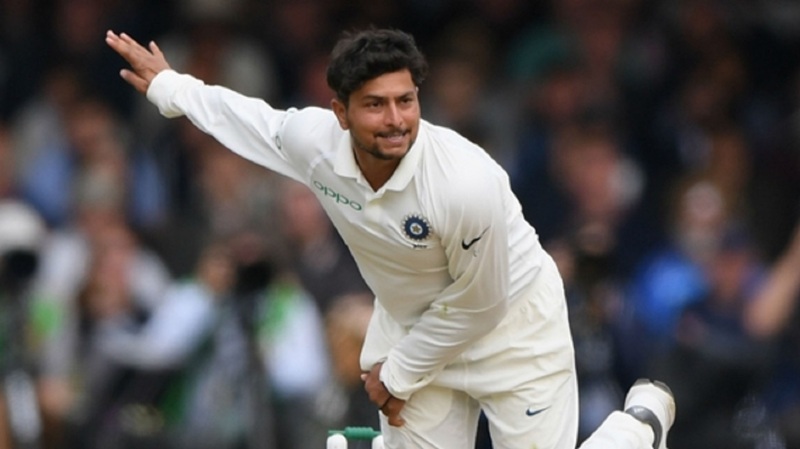 Kuldeep had further joy as Chase (20) chipped a tame catch to short cover, before Powell's fun was finally ended by the same bowler, Prithvi Shaw taking a sharp chance at silly point. The writing was well and truly on the wall for the beleaguered tourists by that stage, Ravindra Jadeja (3-35) and Ashwin (2-71) mopping up the tail to leave the Windies and outgoing head coach Stuart Law with major work to do before the second Test next week. Final scores in the match: India 649-9 declared; West Indies 181 & 196.